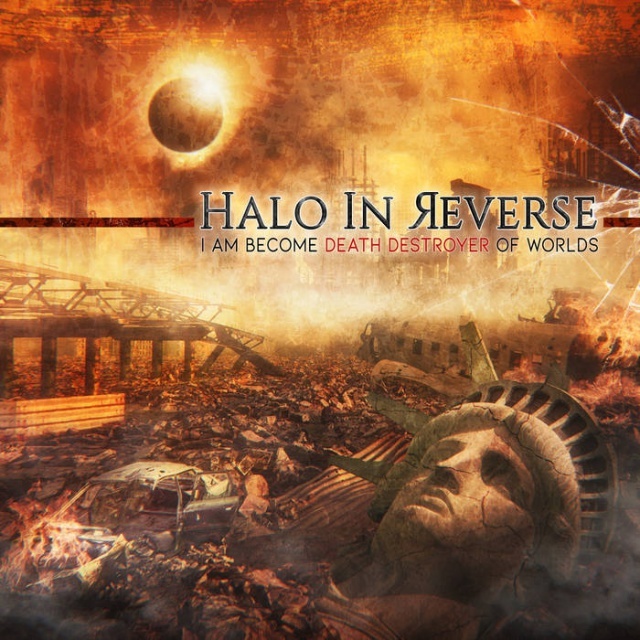 On his much anticipated new album "I Am Become Death Destroyer Of Worlds", the rebellious Halo In Reverse powerful machine is heading at full speed against all forms of tyrannies and nothing will stop Joshua Steffen from spitting his rage on all war waging US presidents. And songs like "The Tyrant", the now classic club hit "King O", "A River Red" and "Beating The Drum" speak for themselves! While letting his caustic synthesizers flow and percolate intricate song arrangements mixing trashy guitars with echoing dramatic piano rolls, Joshua Steffen delivers another electro record filled with emotion and the pain that only love can bring us when it is no longer returned, turning into a true catharsis helping him exorcising some personal demons and unleashing his raging sexuality on lustrous and decadent songs with attitude ("Five To The Wrist", "Dirty Girl", etc.). Available from 21 September 2018 by Alfa Matrix.